Even if you have no plans on using our church for your event, you are welcome to use either our Guild Hall or Great Hall to host any part of your wedding. 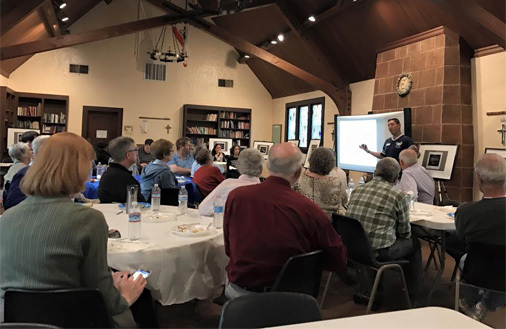 St. Luke’s has two meeting areas that are available for use for small and large functions or events. The Guild Hall is a 1000 square foot meeting area built in 1928 that includes a kitchen. It has central heat and air conditioning. It can seat up to 65 people for your events such as dinners or meetings and 150 people for standing receptions or events.